Pssst!! Don't forget to share.. When someone wrongs us it’s natural to get angry. Often this anger and frustration leads to further resentment and negative thoughts about the person. Sometimes such thoughts can spiral to great lengths. When this happens all the flaws of that person are magnified in our eyes and we become blinded from their good, leading us to hate that person with great intensity. We start to see them as completely evil. No one is ever completely evil, even the most evil people in history often had a misconstrued rationale for their actions, that they saw as noble. Although this might seem very natural this is nothing other than the ploy of shaitan. We think these thoughts are our own because of what we have experienced but they’re not they are clear whisperings of the Shaytan that can have severe consequences. It’s precisely this type of thing that leads to a cycle of violence death and destruction that can continues for many years. The proof of this being shaytan is the statement of Joseph after he reunited with his brothers. I used this formula to achieve peace when I was troubled for many years by a large loss in a business partnership as result of not follow Islamic Guidlines in setting up the business in the first place. Negative feelings consume you and harm oneself more than the other. 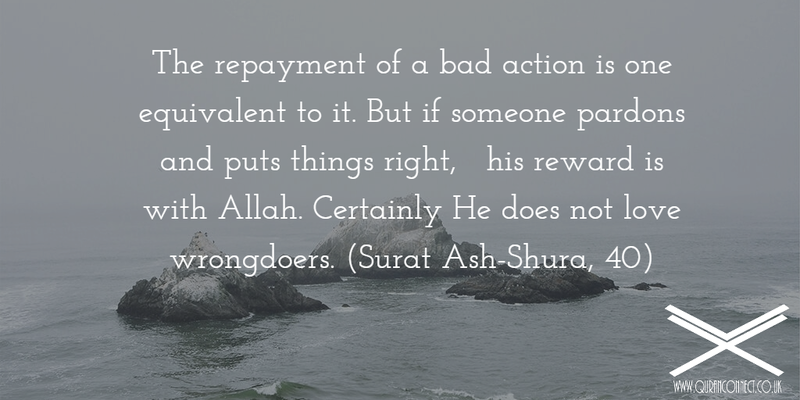 It’s better to forgive and wait for Allah’s promise of reward. Allah never goes back on His promise (Qur’an). It’s not going to be an easy journey but you’ve got to make it and it’s worth it. It took me over 3 years even though I am an Islamic Teacher, who is trying to constantly trying to lead by example to the people around me, my kids my wife and be a role model for the youth I teach , exposed to the Qur’an everyday. May Allah make it easy for you. So what is a religitard? A religitard is one whose mental faculty of independent or rational thinking has been numbed by a misunderstanding of religion. In no particular order of importance here are a few signs of Religitardness I’ve observed. 2. You’re always forwarding images of stop the Haram – like plucking the eyebrows because it makes you look super religious but then you question yourself in private, like what’s wrong with it? It makes no difference to anyone’s life, or…. 3. ..You follow an ultra conservative impractical, incompatible and unrealistic interpretation of religion, then you feel suffocated and go the opposite direction after a few months. Sometimes you yo yo like this for a while then give up and go back to your old ways. 4. 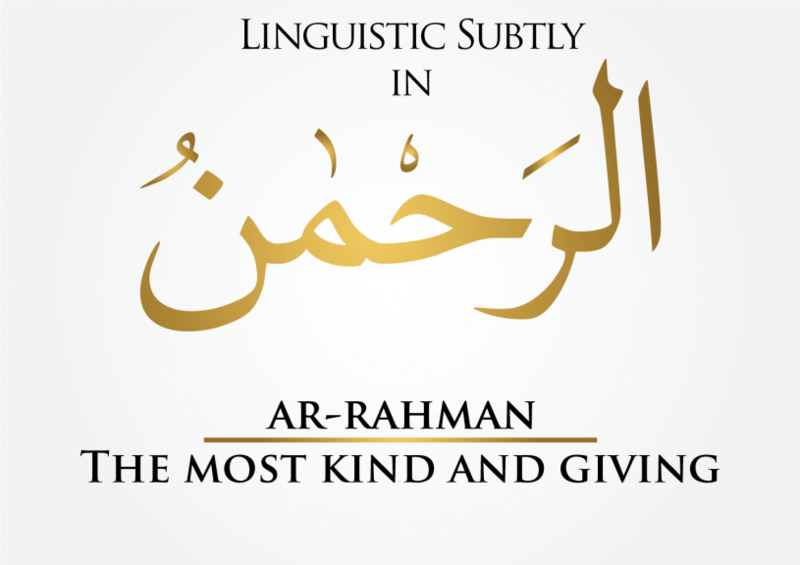 Haram and Bid’a are like your favourite words you say it like others say salam. Short back and sides, haram, women cutting their hair, haram, photography, haram. 5. You lecture others about how they will be in the hellfire for pride because they have trousers that go below the ankle, yet you can’t afford to pay the rent but you insist on driving a fancy car purchased on interest bearing loans because it makes you look good. 6. 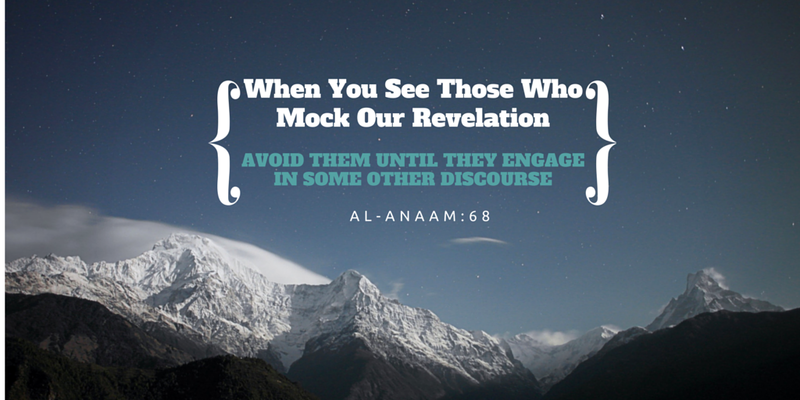 You regurgitate stuff like verses of the Qur’an without ever checking the context or giving it any thought. 7. You love throwing quotes of classical scholars around that you simply memorised but probably didn’t understand,”He said this so an so said that”, because it makes you sound super knowledgeable. Occasionally you’ll throw in an arabic word or two that’s like the icing on the cake. If you fall into the above category, take a dose of education and thinking for yourself every day, up to 5 times a day. What are the signs of religious retardation that you have observed feel free to include them in the comments below.. If you want to get anywhere in life whether it be in terms off knowledge, health, finances whatever. You need the one ingredient of constancy. There will be many hardships, difficulties and hurdles you’ll have to overcome along the way, each time you’ve got to just pick yourself and carry on*. 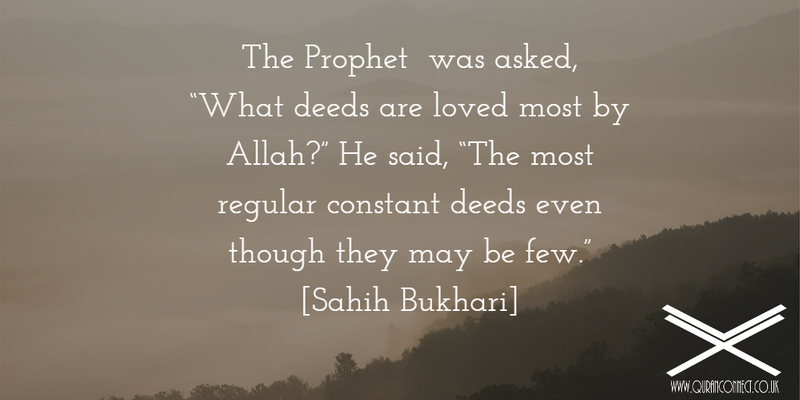 Always remembering Allah Loves Your Constant Deed!! I hope this post has given you some encouragement in whatever good and beneficial act you are doing, if you think someone you might know Muslim or otherwise that might benefit from this post please feel free to share. And remember if you want more beneficial reminders enter your email below to get free updates, amongst many other great things. If you found this post useful consider supporting us by making a purchase in our store, or share and receive the reward of helping others. Sometimes in the field of dawah, this is not just with non muslims, people start mocking Islam. How come this? And how come that? The advice given to us by Allah is to walk away at that point, that is the best course of action. The people at that time are not ready to listen and you will end up doing more damage than good. This was the advice given to Rasulullah (peace be upon him), so we should never let our egos get in the way. What’s Wrong With Our Prayer? You might have heard of Paretos principle, if not here is a quick overview. Paretos principle, often mistakenly coined Paretos law, states that 80% of consequences stem from 20% of the causes. For example we get 80% of our complaints from 20% of our customers, we receive 80% or our returns from 20% of our investments, we wear 20% of our clothes 80% of the time. You get the picture. So how does this relate to learning Arabic? You might have noticed some students of Arabic doing various Arabic courses at colleges and universities around the country yet they still struggle to understand Qur’an or decipher classical texts, that because they have not harnessed the power of Paretos principle. When it comes to understanding Qur’an we get the most exponential results from learning morphology and grammar. Otherwise known as ‘Sarf’ and ‘Nahw’. Today I want to share with you a little gem from the science of ‘sarf’. Think of all the places that begin with مَ ‘ma’ in Arabic. What do you notice? Have you noticed they are all places, Maktab (place where you write) Masjid (place of sajda, prostration), Mat’am (the place where you eat) Makhraj (exit, or the place where you exit) Madhkal (entrance, place where you enter) that’s because an Arabic word beginning with مَ ‘ma’ is an ‘adverb of place or time’. So the next time you hear a word beginning with ‘ma’ assume it’s most likely a place or time where something takes place. To know what place it is or what’s taking place you need to know the meaning of the root it carries. 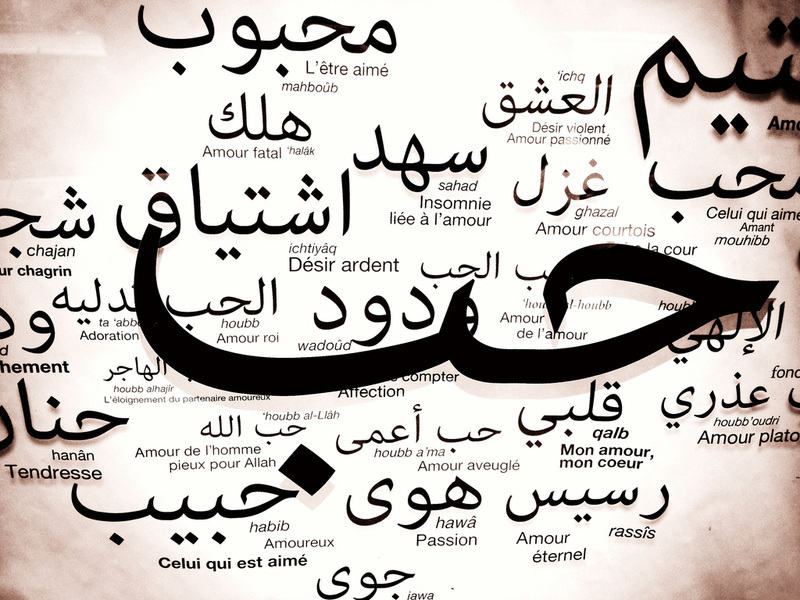 As I keep reminding my kids Arabic is a language of patterns, once you start to make sense of these pattern you will really taste the beauty and sweetness of the Arabic language, it’s absolutely amazing. Until next time Allah bless.